Do Recruiters Really Have to Meet Candidates? Perhaps the biggest recruiting myth out there is that agency recruiters always do in-person interviews for all of their candidates. Recruiters love to tell their clients that they vigorously screen their candidates through in-person assessment, technical tests, and company culture fit tests. However, let’s face facts – few agency recruiters stick to in-person interviews 100% of the time. Especially when staffing temporary positions, the needs are immediate – there is often very little time for the recruiter to fill the position. Additionally, agency recruiters aren’t incented to reject candidates on behalf of their clients. If the candidate is halfway decent and has the job requirements, it greatly behooves the recruiter to pass the candidate along to the client. But is this really so bad? Do recruiters really have to meet candidates to gauge them accurately? In-person interviews seem like a good idea, and in most cases they are. But are both sides of the recruiting equation simply perpetuating a myth that the in-person interview is really necessary to screen a candidate? One could really make the argument that in-person interviews do one thing – help gauge the applicant’s timeliness and interest in getting a job. Other details about the candidate, to an agency recruiter, might be considered ancillary fluff or worse yet, discrimination. Many good candidates won’t meet with third party recruiters. To these candidates, it feels like an extra step. With some candidates, this is a warning sign indicating lack of interest – but some well qualified and/or high-level candidates simply don’t want to waste their time. Recruiters can tell a lot from a candidate’s current position and company. If they simply verify that the person is working in that capacity at that company, it implies a certain level of employability and fit. A recruiter knows that if a candidate works as a SQL architect at one insurance company, they can probably be a SQL architect at another insurance company. Clients want recruiters to do their dirty work. Recruiters are often asked to see if the candidate has the right “look.” Confident recruiters should ask the client for clarification. Beyond checking to see if the candidate is wearing pants, what good does this “screen” accomplish? Most of the “look and appearance” side of the equation is downright illegal, so we are left with the most basic judgments of professionalism. Scheduling interviews takes too long. Scheduling interviews with busy professionals can take a week. After scheduling this and the client interview, a couple of weeks easily go by… This extra step is too much time when faced with critical hiring initiatives or project requirements. Candidates don’t accept rejection by the recruiter. If a recruiter meets with a candidate, the candidate has the impression that the recruiter is working for them (versus the client.) 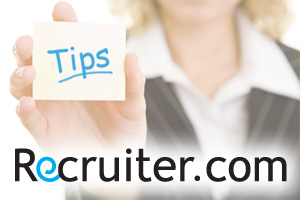 If the recruiter wishes to reject the candidate, they are in a very awkward position with the candidate. When rejected by an agency recruiter, the candidate will often call directly into the client or go to another agency recruiter. Making the case to a client that you shouldn’t have to interview candidates is something a junior recruiter should never do. For most recruiters, it is probably best to simply stick with your client’s preferences and then perform whatever service you say that you will perform. However, for seasoned recruiters or for clients with which you have long-term relationships, it might be time to drop the game. Let them into the recruiting process and talk to them frankly about the candidate search process. In-person interviews may not always be the most efficient recruiting process. Great recruiting is about personal connection and ultimately, meeting people is never a bad thing. It’s generally a good idea to meet as many people you can and generate candidate referrals and new job clients. However, when working on a time sensitive job requirement, it’s often best not to let dogmatic adherence to the in-person interview rule get in the way of solid, efficient recruiting. Most importantly, whatever your philosophy on interviewing candidates is, both agency recruiters and clients have to be honest and up front about their recruiting process and leave the marketing pitch for the company brochure.